If you’ve been a Tindarian for any period of time, you know we are always testing new (and sometimes crazy) ideas. A few months ago, we released Tindie Biz - a new way for hardware makers to share the manufacturers and suppliers they have worked with. 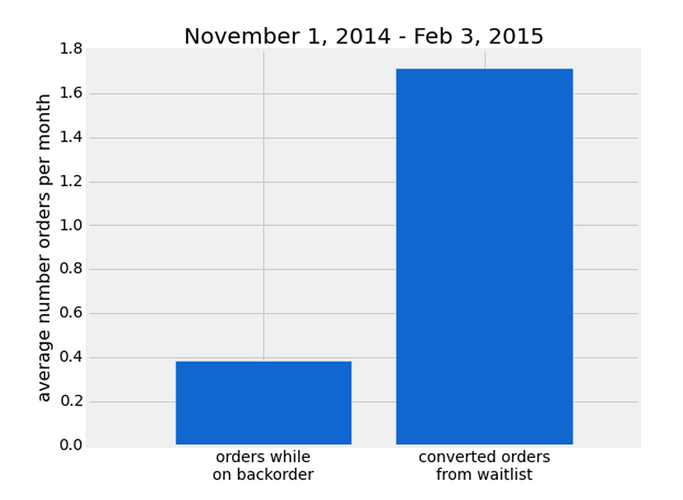 We also removed backorders in favor of waitlists. Finally we unveiled our new Seller Dashboard with better analytics. With some time passing since these projects launched, we wanted to give an update on their status and how these projects are going. How do you find the best manufacturing partners? That was the problem we were trying to solve with Tindie Biz. We see hundreds of small businesses going through this process each year, and thought there must be a better way. Enter Tindie Biz. So how has it gone? Not as well as we had hoped unfortunately. One big problem that we foresaw is still a big issue - how to incentivize makers to share their manufacturing partners? Everyone sees this as some sort of competitive advantage, and aren’t willing to share this information publicly. As I talked to one maker before my trip to Shenzhen, he saw the value in it - but wasn’t willing to be the first to share his supplier information. This is a message I’ve heard more and more since we launched the project. A real catch 22. We’ll keep tweaking it, but we are open to any and all feedback! After working with a Stanford data scientist, we uncovered products with backorders were losing orders by having this feature turned on. Not a good sign. Because of how poorly this feature worked, we turned it off. Many sellers have said they would still like to use it (even if it hurts their long term sales). I fully understand it is a good way to gauge current demand for manufacturing runs. However is there a better way to gauge demand that isn’t backorders? I’m not sure but it is something we are thinking about. Again - we are open to ideas! To reiterate - we fully hear the community feedback on this change. We haven’t seen any impact to our sales from this change, but do want to make sure we support the community. Our plan is to give it another month, and then reevaluate. We quietly rolled the Seller Dashboard out, so if this is the first time hearing about it - breaking news! 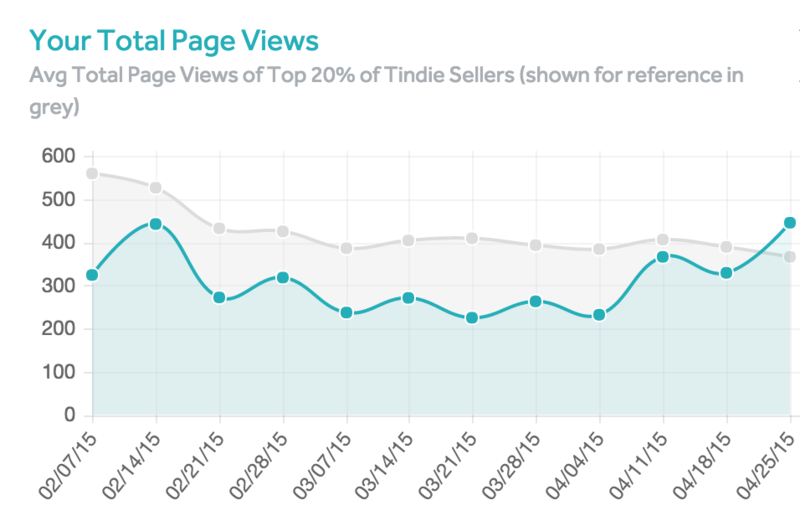 Sellers can see how they compare against the top 20% of Tindie Sellers. It’s full of data you can use to better understand how you stack up. We’ll be integrating this more and more within the site as we have more data to show. We also include links to resources on how to improve each. Each year more and more small hardware companies are founded building innovative hardware. 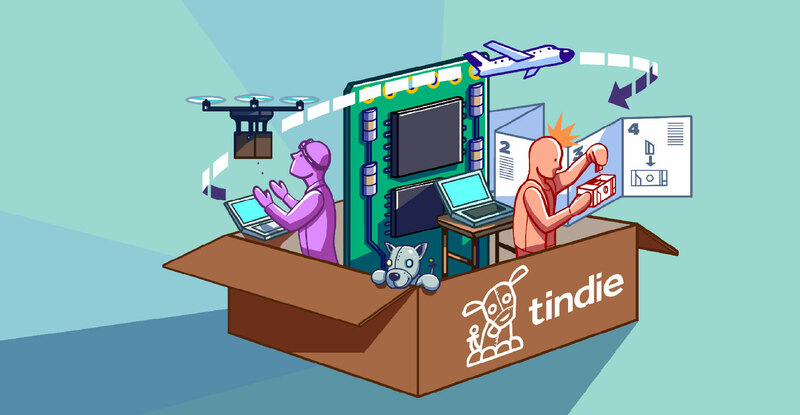 Tindie was founded to help support those companies - our sellers- and provide the best way to bring projects to market. All of the tests we run have that goal in mind. We turn 3 later this year, and in that time $1 million+ has been shared with Tindie sellers. This year, we are on track to pass $1m in sales. We’ve more than doubled every year for 3 consecutive years. An amazing start! Sometimes our tests are right, sometimes they are wrong. That is why we are constantly iterating, measuring, and listening to feedback. We’re a community of over 100k unique visitors a month - with a team of 3 supporting from the HQ. As a small team, we don’t always come up with the best ideas. However together we can. It is only with the community’s support that we can grow for another 3 years. So here’s to another 3 years! I think you’re misunderstanding the reason for lack of traction on Tindie Biz. It’s not (primarily) that people are secretive about their suppliers - it’s that Biz, as it currently stands, provides absolutely no reason to participate in it. It’s a giant black hole into which information is dumped, with no feedback or reward for doing so. It’s akin to launching Stack Exchange and saying “We’re only going to be accepting Questions to start, and they won’t be publicly readable. We’ll launch Answers once we’ve got a good base of questions to work with” - it simply won’t work, because any site that expects user input needs to be interactive to thrive.